Celebrate our 25th anniversary with us! Join us as we celebrate everything the BCI community has achieved over the last 25 years. Over the next year we're creating an archive of documents, memories and photos from the BCI's 25 year history. Start exploring the timeline below to find out more about the BCI's history. Have a memory you want to share? A significant date you think should be recorded? Or want to share some photos from an event? For more information on how to contribute please click here. The Good Practice Guidelines (GPG) 2018 Edition launches at BCI World 2017. Launch of the revamped Continuity&Resilience Magazine. The first weekly BCI Bulletin was published. The BCI Diploma, in affiliation with Buckingham New University was launched. The first annual BCI Awards were launched in North America. The BCI moved to Caversham, staffed by Lorraine Darke, Tony Shepherd and Donna Crabtree. The first Nordic Symposium organised in Copenhagen, Denmark. By-laws completely re-written to reflect the changes in the BCI including a much larger widespread membership base. BCI Training and BCI e-learning programmes were launched. Revamped the BCI with new branding and launched the BCI partnership with three separate divisions. Continuity Magazine received Best Magazine Special Commendation for Development at MemCom Awards. The first known informal discussion of the BCI and DRII joining together. The main purpose was to align the 10 core competencies of Business Continuity, this was achieved. The 10 core competencies would later be rationalised into the six (two management and four technical) that we have today. (Click to view more of the photo gallery). The first ever BCAW took place, focusing on the fuel crisis, railway chaos and flooding. The first GPG was launched in response to BCAW. The BCI released a research paper alongside the Chartered Management Institute, focusing on BCM awareness. 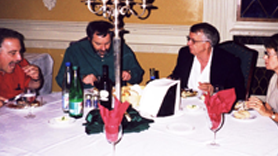 The BCI was formed in 1994 out of the Survive organization and was initially managed by John Marsh. John Sharp took over a couple of years later. The first BCI AGM was held in London. 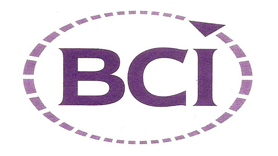 The BCI became an independent membership organization.